I’ve been bombarded with the idea of unconditional love for as long as I can remember. Everywhere from home, to church, to Valentine’s Day commercials, people have pushed the concept that I should show love with no strings attached and expect nothing in return. People throw around phrases like “Blood is thicker than water”, “Love thy neighbor as thyself”, and “Love means never having to say I’m sorry.” But what does this type of thinking do to my personal boundaries? And more importantly, why SHOULDN’T my love have conditions? I’ve recently become aware that the belief in unconditional love has interfered with my healing from childhood sexual abuse. In the past, I found it difficult to express anger towards the people who hurt me. My abusers weren’t my family and I never loved them, but I did care deeply about the people in my family who failed to protect me. The positive feelings I felt for my family coupled with the anger I felt about them neglecting me was confusing. I was always taught that I should love no matter what, forgive all mistakes, and never question their place in my life. They were my family after all. But my anger went against the definition of unconditional love I was always taught. My seemingly contradicting feelings left me feeling guilty for not loving my family enough. If I just loved them more like I was supposed to, I wouldn’t be having those negative thoughts about them. I was already harboring guilt after being sexually abused, and the idea of unconditional love just piled on more. On top of adding to my guilt, being told I should love someone even when they have hurt or neglected me was like being told to ignore my personal boundaries. Years of childhood sexual abuse had already taught me to ignore my feelings and put everyone else’s needs first. The belief in unconditional love just reinforced that. According to everyone else, my feelings didn’t matter and I had no choice in who or when I loved. I wasn’t allowed to place conditions on my love. I was supposed to love them no matter what they did. But that was in their best interest, not mine. The whole concept of unconditional love has been used by abusers and the people who protect them for generations to keep victims silent. When you think about it, who else would require love without conditions? Anyone who treats me the way I deserve should have no problem living up to certain standards. Abusers and manipulators are the ones who have something to gain from unlimited love. The truth is if someone doesn’t respect me or my needs, I am under no obligation to love them. I will treat every human being with a certain level of respect and dignity, but beyond that, it is my choice when I love and who I love. In fact, it is healthy to have standards for the people I care about. My standards and personal boundaries are there to protect me from further abuse. Nobody who loves me would abuse me, and I have no reason to love anyone who would abuse me. I’ve broken free from the idea of unconditional love and it feels good. What are your thoughts about unconditional love? Have you ever been guilted into anything under the guise of love? Please join in the conversation below and remember to subscribe to the comments. You can post anonymously and email address are always kept private. Jennifer Stuck is whole-heartedly pursuing physical and emotional health and is determined to heal the wounds of her childhood sexual abuse. She loves to write, especially poetry and enjoys spending time with her three beautiful daughters. It is a hard thought pattern to break…they messages we get as children are confusing..being told that the people who are hurting us “love us” and so we grow up not knowing for it actually means to have healthy affection/love from people. i’ve had a situation not too long ago where someone important to me was very very manipulative me and when i broke down and gave them what they wanted, they acted as if i was wrong for being upset. They even admitted to manipulation me…today i am able to say that NO, i don’t believe this person loves me because someone who loves me not only would not treat me that way but also COULD NOT. i hit “submit” too fast! my point is that a lot of times people think that declaring “i love you” and saying they are sorry should get them off the hook because they are family…not only that but other people in the family think the wronged party is being unreasonable! how is it that im supposed to let people treat me like crap and NOT let it if effect my love for that person? it would be inadvisable and quite impossible, i think…this is a great source of frustration for me. Maggie good for you for learning to say no! That’s a big step for most survivors. You’re totally right. Someone who truly loves you wouldn’t manipulate you like that. I believe that when we are accused of being unreasonable for not loving an abuser, that is just another manipulation to keep us subservient. Luckily we don’t have to accept their definition of love. We can find real love from people who deserve our love back, and we can love ourselves. We never have to love an abuser. and Eros which is sexual desire. This is just to clear up God is not asking people to take abuse, there are too many verses to suggest other wise and proper Bible interrelation is when you compare Scripture to scripture. I know this is not a bible study I am pointing this out to people who were spiritually abused. It is a misuse and abuse of the Bible of all things that causes this. I agree in terms of the use of the word love is all God is asking is that we treat one another with the same respect we want to be treated with. I just want to clear that up for those who have been spiritually abused. I know that not all share the same faith but with saying love your neighbor as yourself is in the Bible as is a misused one by abusers. Poor God he gets blamed for so much! I did not grow up in a Christian home but I am a Christian now and see how unstable people hide behind faith to get away with their mess. God has nothing to do with that! I know these comments are off topic but on topic too. I was never really told by my parents they loved me not that I can remember anyway so I did not have the same kind of confusion. So it was easier for me to put up boundaries and not accept it. I learned acceptance and got support from friends and teachers. However “friends” and boyfriends always seemed to pull that! i just noticed how hastily written and clearly not proofread my first comment was…sorry about that. Pinky I agree. “Love thy neighbor as thyself” would be better translated “Respect thy neighbor as thyself.” I honestly don’t think we have the right words in the English language to say what is meant in that phrase. I even treat abusers with a certain level of respect, but that doesn’t mean that I have to be emotionally invested in them or ever have them in my life. LOL Mggie no problem. I think I still got the point. what further complicates the whole thing is that we WANT to be loved unconditionally, so we accept whatever we are given and call it love. it breaks my heart to think about it. Maggie except we are willing to do a lot to get that love so is it really unconditional love we are seeking, or just love in general? Well Jennifer, what a timely subject for those of us who feel we have to love unconditionally. I was talking to a friend last night and she wanted the name of our page for a relative that might benefit from OSA. In the course of the conversation I talked about my father who was my primary abuser. She said something about “you still loved your dad”. I said I did not and she tried to argue with me that I loved my dad or should have loved my dad. I told her that the only thing I was grateful for was that he gave me life and nothing more. He did not love me and caused me such unimaginable grief and pain, there was never anything to love him for. I told her I was just like any other child who wanted a father to love them. She had a hard time with the fact I didn’t love my father. maybe i did before I was two years old, i can’t remember ever feeling anything but fear when it came to my dad. this was such a good article and will help so many that struggle with the toxic people and abusers in their life. Thanks for such a relevant topic! Because my abusers were my family and never loved or accepted me it left me feeling hopeless that no-one would ever love or accept me because if my family who are supposed to unconditionally love me couldn’t love me then no-one else ever could or would. I was taught that families unconditionally love whatever happens. I had to prove I loved them though they didn’t love me or have to prove and love to me. I have to prove my love by being silent, obedient and compliant. That allowed them to do whatever they chose to. In fact some of their violence they said they had to do out of love for me to correct me and prevent me from doing things that would have been bad for me. But it seemed to completely escape their understanding that what they were doing to me was bad for me all the time. The whole “love” thing was totally distorted. I have not even looked for love in my life because they told me no-one would ever want me and because I never believed anyone would or could love me because of what their abuse taught me. Now I’ve broken my silence after all these years I’ve begun to realise how empty this has left my life and I do not want that to continue but I don’t even know where to start. I guess for me establishing healthy boundaries and saying this is what I want and not what I want in life by way of how I allow people to treat me etc is a good start. Linda it’s hard for me to understand why anyone thinks we should love a parent that never loved or cared for us. As innocent children we deserved their love, yet all we got was pain. They as abusive adults have done nothing to earn our love and in fact loving them could cause us further harm. Fi exactly, they use unconditional love as a way to manipulate us and say that we should be willing to do anything for them, but they don’t hold themselves to the same standards. Love is a beautiful thing but people twist it’s meaning to meat their own selfish needs, and that isn’t love at all. The things you listed are a GREAT start. I wonder if others have seen the series on chidhood sexual abuse by joyce meyer ,she is a well known TV broadcaster who was abused by her father,and shares her journey in an honest and even amusing way. Unconditional love was this weird, abstract concept for me. I’ve never been loved unconditionally. One of my big challenges as an adult was to accept the fact that the same people who didn’t love me unconditionally as a child weren’t going to as an adult. I was never going to get that relationship with my parents back (parents who did nothing to protect me from years of sexual abuse, one of them joined in). Like you said, unconditional love is something we celebrate so much in our society, to say “I don’t want this”, is hard. By doing this, I’ve been able to muster the strength to talk with law enforcement about my offending parent, who’s still molesting kids. Forgiveness works the same way. Most of the survivors I know who say “I’ve forgiven the person who abused me” and aren’t in “recovery mode” haven’t forgiven anyone. They’ve decided they’re going to not think about their victimization. That’s very different. Especially if their building a fantasy world for themselves is compromising their safety or someone else’s. up untill recently i went to a free weekly group at a local hospital just about every week for a couple of years…but i’ve stopped because the facilitator kept insisting that i had to maintain contact with relatives that had hurt me just because they are relatives . she kept saying to me that they loved me and when i asked what about them that i had shared with her indicated that she said “because they are family/”…i haven’t gone back because i don’t know how to express my feelings to her without being really argumentative. it is amazing how many people just want us to shut up and go with the flow. no matter how much the flow has kept us miserable and hurt….i don’t get it. This is awesome, you sure say this well 🙂 I can relate and couldn’t say it better. Great job. Inspires people like me (us). Caroline, no I haven’t seen that. I don’t watch much TV these days. It’s good that the subject is being talked about more though. Amber, Nicole & Louise, thanks! Maggie I have learned that just because they are professional doesn’t mean they are healthy. It sounds like they still are holding onto some of the beliefs from the abusive family system. I have recently decided to love my family who failed to protect me and fails to acknowledge what happened to me but that doesn’t mean I have to tolerate their mistreatment. I can love them and refuse to have a relationship with them until they do the right thing. Anyway, that is how I’ve worked it out for me. Pam that makes perfect sense to me. We can’t always control how we feel about someone but we can control who we let into our lives and how we let people treat us. I won’t treat every human being w/ a basic level of respect until they do something to act like they’re a human being in the first place. I’m always getting these online comments from people I’ve never seen, much less met in person, who want to nitpick a detail of my writing for no other reason than to tell me I’m dishonest or stupid or whatever else they think I am at the moment. I’m completely finished w/ it. I’m never EVER EVER going to read another letter like that. I’m going to do the equivalent of ripping it up and throwing it in the garbage where it belongs. I’m sick of nameless, faceless people thinking they have a right to get up in my face about a damn stupid detail that the picked out of one line of one piece of mail just so they can act like an immature brat. People don’t do that in real life, and I’m not accepting in my online mail. So I’m supposed to believe my ‘family’ blood related and not who didn’t believe or support me through these years, I’m still supposed to love them uncondionally. I have had to break away from them especially my father who never understood or believed me. It took me into my thirties to realize this. Why would I want these relationships from these people if they weren’t there for me during the hardest times, just because others say it’s family you have to be close to them. To me that is all very fake.Thanks for writing this it gives me much more clarity. so well written and it resonated with me! Thank you for sharing this Jennifer! Vicki ,you sound like a real warrior and now that you have a voice ,no one is going to mess with you. Michelle I’m glad you can relate. I’m glad to hear that you have gotten away from the people who didn’t support you. Wow this is a great sounding board and so glad to see so many of you opening up and speaking your hearts. Abuse is never to be accepted and its pain and roots go very deep. One of the greatest tactics of abusers is manipulation and they become masters at “passing the buck or blame”. This further distorts the truth and causes deeper levels of emotional abuse as well. Dr and Mrs Steven Tracey have done an amazing job in their recent book entitled “Mending the Soul”. I highly recommend it. I recently (past 2 yrs) had to testify against my own husband about his abusive behaviour and was then thrown out of a church because they (and I quote) “said I refused to take medication.” I was being emotionally and physically abused, crying often and ready to give up and my X retaliates with a claim that I am mentally unstable and hence the churches action against me which constituted what has now been recognized as “spiritual abuse”. There was no way I was going to take medication to cover up tears that needed to flow – it is healthy to cry! By standing my ground, admitting truth and speaking appropriately I have overcome his antics and am pressing on. The Lord graciously has directed me to a new church who understands “abuse” in all its subtle forms and has welcomed me with open arms. I will be forever grateful. It has cost me dearly – but the price has been worth it all. I can sleep easy without any meds, read in freedom, and praise the Lord for His strength and divine intervention and grace. I can move forward having forgiven them because they knew not what they were doing or what was really going on. If I continually held resentment and allow it to grow and fester into bitterness then in one sense they would still be controlling me and that would be something I had allowed to happen. So yes – this woman moves forward with new boundaries and a fresh awareness that the Lord has allowed it for a purpose…, a purpose to reach out and assist others who are yet being held by their abusive roots! There is freedom…, and you too can experience it! Way to go Jennifer and all of you who care enough to take the time to write and be a voice. Blessings! Jennifer – this was such a big issue for me. “Unconditional love” was used for decades to shame me into being compliant and accepting the abuse of others. While I agree in accepting others as they are and not trying to make others change in order to make me feel better (the control of an abuser) it has to be balanced with healthy personal boundaries. I really see this kind of love as the core of the attachment/co dependence issues I struggled with for so many years. Changing this alone changed my life and the relationships I allow into my life today. Thank you for addressing this issue! Hey Jennifer thank you for this post, so true and validating! Something I have often thought is that we don’t have enough words for the different kinds of love we feel, experience and share. To me, love at its best is a verb, something we do, not just a feeling that lives inside us, so if people are abusive they have withdrawn their love, so how can we possibly love them back? For me there is the feeling of love that is different to the action of love, to me, the felt emotion has no value outside of the person who is feeling it. Fellow passenger , That is from Joe Black. 🙂 I love that line too and it was not until I became a Christian that I learned that love was an action word. I dont listen to the words as much as watch the actions over a period of time. I’ve always tended to pay scant attention to what people say but watch what they do, I learn from watching people’s actions whether I can trust their words or not!! Ok, so this is my OT Joe Black story: It cracked me up in spots. it was, overall, (imo) not a good movie…however….there were cheesy cheesy jokes in it that made me literally laugh out loud. I was the only one in the theater that laughed at all, let alone so boisterously and it embarrassed the person i was with…but i told them off when they tried to shame me into being quiet. apparently i am good at setting boundaries when it comes to movies lol. Good for you Maggie – I love a good laugher in the cinema! Pinky and Dawn and Fi…really appreciated the things you wrote about. Especially the meanings of the word `love`. I would like to hear what you think about the words` honour` as `honour your parents so that it may go well with you` and submission as in `wives submit to your husbands`. The latter, I know I got completely wrong, and became a doormat and a martyr,which wasnt healthy.Ofcourse I blamed God at the time for the state of my marriage,and the church`s teachings. Reading this just now helped me so much. For years I’ve been feeling guilty about not being able to do the whole forgive-and-forget thing. I should have realized by myself that I shouldn’t have to. @Caroline there is so much to say about this subject that many books were written on it. This is not my bog and I am not at liberty to give advice here. If you are on Facebook I am pinkusgarbaby and I can send you a link to some good books. But bottom line in dealing with scripture is t compare scripture to scripture. The bible also says in Ephesians 5 wives respect your husbands as is fitting in the Lord 9the bible was written in Greek and it has a rich language and there are many words which do not have a proper translation. Submit also means respect and it is conditional according to the bible so that is making a very long story short. You find these things in Greek concordances. But for the wife to do her job the husband has to do his first. I meant to say not my blog but the same goes for honor that is harer to explain only because I am not that articulate but honoring a person with the gift of ex communication if they do not also treat you with godly brotherly love is accepted amongst healthy churches it goes along with separation from the world there are books about that as well and scriptures to back up what I am saying but it is not my blog so I wont comment further. Pinky I appreciate your respect for this blog site. and can only see the effects from afar,though now I feel more connected to the people I love ,and the world in general. Aren`t we such complex creatures? Caroline – Sorry for the delay in replying but your question was full of triggers for me which I had to wade through before I could formulate an answer. 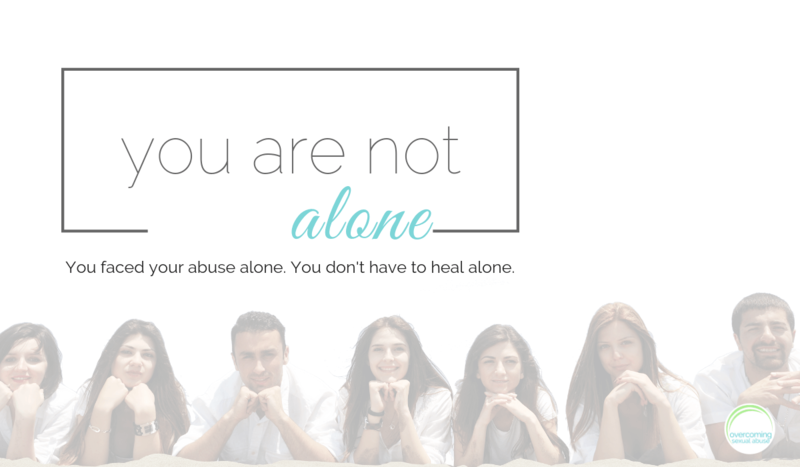 With respect to the fact that this is not a Christian blog but one that deals with sexual abuse and it’s long term effects upon our lives and due to the fact that this is not my blog and due to the fact that the subject of this question is full of triggers for me I’m going to keep my response brief. Honour like love is conditional. By it’s very nature it has to be conditional. Respect and honour or things which are earned not automatic. We are not expected to give honour where none is due. But the words honour, respect and submission have been used by many, sadly within the church, to avoid dealing with issues of abuse and misuse of power that cover all sort of relationships. We are not expected to just take abuse. Those scriptures were not written with abuse in mind but relationships where there is mutual give and take of love and respect. Where that does not happen then honouring is not happening and there is no respect nor any place for honour or submission. There is a wonderful book called “The Subtle Power of Spiritual Abuse” which is well worth reading in this respect. ladies, I have read the subtle power of spiritual abuse for me ti was a wonderful book. There is no other that was slightly more eye opening but it not being my blog I wont comment but the subtle power of spiritual abuse is very good!I have seen it mentioned here before so I think it must be approved by whoever runs the blog. Fellow passenger – that’s a great quote! ” what you feel is of no consequence to anyone else but yourself; what matters to everybody else is the way you treat the person you say you love.” Very thought provoking. Caroline those are some great topics that need to be addressed too. And you’re right. they do go hand in hand with this discussion. There are so many little phrases like that, that are meant to keep us subservient. No more! Fi I agree 100%, peoples words mean nothing if their actions don’t back them up. What matters is how they treat us, not how they SAY they feel about us. Pink I agree about comparing scripture for scripture but I don’t think anyone wants to get me on a religious rant so I’ll stop there, lol. There are so many things that people take out of context and use to manipulate us. I’m glad I’m not the only one who see’s it. Jennifer – lol – that’s one reason I kept my reply short because otherwise I could have gone off on a total rant on how those things have been used to control and manipulate people, and keep many women (esp in the church), in an abusive situation, and me in total rant mode is not a pretty sight!! I enjoyed your essay, you make a very good point…one I hadn’t considered. Thanks for sharing it with us, it will help me and many other people. Childhood sexual abuse is an issue which reaches into all aspects of our lives and our feelings as women, men, children, and adults. I don’t know if anyone ever really gets over it, but it helps to deal to understand what happened and the context for ourselves. Roslyn thank you! I agree that abuse affects almost every part of our lives. It seems like every day I figure out a new connection between my past abuse and my present life. I think whether or not we can get over it depends on what our definition of “over it” is. I have gotten to a place where I don’t have painful emotions attached to my abuse so I feel over it in that sense, but I know that it still effects my actions and emotions in other ways so in that way I don’t think we every fully get over it. But I do believe we can heal 99.9% of the damage that was done to us. i couldn’t read all of the comments, but i think one touched on a point that i wanted to mention, which is why would someone ask something of someone else that they aren’t willing to give to another themselves? also, how presumptuous of someone to *require* to be loved without conditions, or even ask that. that seems to be a condition in and of itself, that they are imposing on you. your love is yours to give, and you could give it unconditionally, but that is your choice (though that may get into a murky area, boundary issues). 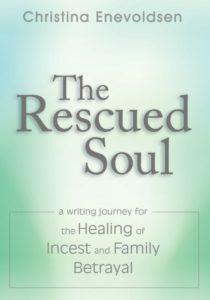 i hadn’t been sexually abused, but i think spiritually, psychologically, and emotionally abused, and emotionally raped. i am still not out of the fog yet. too many things, but this guy cheated on me and lied many times, as well as a bunch of other psychological games it seemed, and a few months after we broke up he contacted me again, and used the unconditional love line – “i thought you had unconditional love for me”. i thought i did too, that’s what i said. it’s all the more confusing, because we had a strong intellectual/platonic connection. i know i thought – “where is your love for me?”, but then i thought that would be a condition i would be imposing on him. i’m still a bit confused about it. i know some people may not think much of astrology, but ours said that we did have unconditional love, which is rare in romantic relationships. it’s like unconditional love is this pinnacle to aspire to, and thinking that you have it seems more important than actually having it, or it’s just some goal to reach, and that just doesn’t seem right. i got a call from his girlfriend saying, “WE have unconditional love”. i think it’s also something that people with narcissistic personality disorder/sociopaths/psychopaths (abusers), use. i read this elsewhere, but can’t remember the details. i can’t think this guy was not aware of what he was doing, even though he seemed so dumb. either that, or he is severely schizophrenic. I often refer to the idea of unconditional love as the most sparkly and toxic bit of 1970’s pop psychology. There is no such thing as unconditional love, nor should there be. It may help to distinguish between two very separate ideas “self worth” and “unconditional love”. We all have an innate worth, one every living thing is born with. To quote the Desiderata “you are a child of the universe, no less than the trees and the stars, you have a right to be here”. We do NOT all have, thereby, the free pass that is the heart of the idea of “unconditional love”. You may be born with an innate worth, but you are not born with the right to hurt, manipulate, or transgress against others. You are not born with a right to be loved “no matter what”. Let me repeat, once you are beyond infancy, the love and respect you get in life is EARNED. The phrase “unconditional love” was brought into the lexicon in response to the traditional parenting style in which love was confused with approval. “Spare the rod and spoil the child” was the motto of that particular theory of childrearing, and parents felt very comfortable withdrawing love and affection in response to misbehaviour of any sort. Some bright spark realized, quite correctly, that a parent’s love should not be revoked each time a child misbehaves. Unfortunately, they responded with the idea of unconditional love; to whit that parents should love their children no matter what. Parents are not immune to the doctrine of unconditional love. For those of you, who like me were born before the Flood and saw the film “Guess Who’s Coming To Dinner?”, you will recall a scene in which Sidney Poitier’s and his father disagree on the life decision Sidney is making. “YOU OWE ME!” shouts Sidney’s dad, by way of saying children should listen to their parents and do what they are told. Sidney replies that he doesn’t owe his dad a thing, and that scene shocked me as a child. How could Sidney be so mean to his dad? Many years later I realized that no child “owes” his parents for the simple fact s/he was born, brought into this world, loved, fed, clothed and housed, and kept alive. When a couple conceives, they sign on for those things; indeed the right to basic care is owed to each child first by his parents, and collectively by all the other adults in the culture. What is not owed to the child is anything much past that. You can expect that at some point your children will grow up and make their own way. You may choose to do more, but that choice is elective, not a moral imperative. Our experience of love, once we are past infancy, is an outgrowth of the relationships we have. And at the core of healthy relationships are the choices we make…to be kind, helpful, loving, to support the other person, to take active good care of them as we would have others take active good care of us. We earn love and respect thereby. And we have a right to expect our relationship partners will reciprocate in kind. There is no shortcut to earning these things, no shortcut to building self esteem. We earn love and self worth by accomplishing positive goals. No problem Maggie, as long as the comment is credited and also not mis-quoted! FWIW I do feel deep compassion for those who promote the idea of unconditional love. We all want to be loved, and the desire for unconditional love is usually a result of having had entirely too much of unfair/toxic conditional “love”. WesterWilson, thank you so much for your thought out response. I couldn’t agree more! You are all so kind, thankyou. I have lately read/listened to the books and audiobooks of Dr. James Hollis, a dear and wise man. He covers many of the “life task” topics with wonderful clarity and compassion, but I was struck by his musings on the particular challenges of mid life marriage, in which he proposes that the task is not romantic fusion but the mutual support of one another’s personal growth. That rather than the youthful “two become one”, we think of our marriages as “two becomes three”…our shared companionship/mutual goodwill, and the separate, growing partners. This idea answers that unconditional love myth and replaces it with something more complex, but finer, and more satisfying. We are here to grow our children in healthy ways, ways that make them larger, happier and more beneficial souls, and to celebrate that growth. Or perhaps to put it another way “I love unconditionally that part of you that grows your soul in good and healthy ways”. Offering unconditional love without reference to our waning approval as a child goes down a dark pathway then, is not love at all, and abrogates our responsibilities as parents. What a great topic. So many think that unconditional love and “love they neighbor as thyself” means that we can let people do whatever they want to us and still accept it. Although I have a slightly different take on this topic, I agree that boundaries are key. God never asked us to be doormats, and so many Christians spirtually abuse others by teaching false concepts such as accepting abuse with unconditional love. When we don’t set boundaries we slowly begin to lose sight of God’s great love for us and begin to see ourselves in the eye of the absuer, who in deed doesn’t love us and can’t love us the way God loves us. Our whole perspective gets skewed. Some people, of course do love us to a certain extent, but don’t know how to treat us right because of their own sins and strongholds…but if we don’t hold them accountable and if we’re not honest about how their sins are affecting us, and if we’re not setting any boundaries, then how will this situation ever be rectified? they’ll just keep doing the same old thing, never realizing the errors of their ways. Of course, they may never get it, and its not necessarily our job to teach them, but it is our job to protect ourselves. Cassandra, your comment wasn’t too long at all! I appreciate you taking the time to write out your thoughts on the matter. I think we word things a little differently, but we pretty much see eye to eye on this. Thanks for sharing your perspective. I agree that healthy boundaries are key, whether we chose to forgive or not. Cassandra thank you for sharing some of your journey and I agree with Jennifer that healthy boundaries are key. At the moment I`m doing a foundation in Art Therapy which seems to be helping me personally ,though I applied so that I could help others `find a voice` I work as a trained nurse in neuro-rehab. Thank you for this, I’m not a ‘victim’ of anything, but was convinced that love should be unconditional, the wise counsel has made me realise that I should not feel guilty if the love I give can have some conditions. Oh, of course the same applies to those who may love me . . . I have no right to expect love if I make things difficult. David exactly! It goes both ways. I have my boundaries and have to respect others boundaries too. That’s part of loving and respecting someone the way I see it. Any other kind of “love” wouldn’t be healthy for me. This discussion and this website is a God send for me, especially at the start of the New Year of 2012. I was lost in a very dark wood and could not find my way out of the forest… and here it is sunrise and a new day has dawned. I’m been reading here and there all night long and I think I will be “saved,” in more ways than one. Cassandra, loved your comment(s) and no, I didn’t think they were “too long.” In fact, you could write more – much more, as far as I am concerned! Adding links and book titles or whatever else would also be appreciated, and I’m sure it’s OK. (If not, please let me know, but I think this is a pretty open group and everyone’s contribution is appreciated. Especially by ME. God bless and Good Cheer as we move inevitably forward into the New Year. Thank you for the brilliant essay Jennifer. It’s wonderfully thoughtful and freeing. Yes, it makes such sense that so-called unconditional love benefits the abusers most of all. In my own recovery process I came to the same conclusion but never thought it out as beautifully as you did. Maybe it is the fear of loss of the fantasy that there is so-called unconditional love that prevents people from letting it go and looking more carefully at the variety of types of reality-based love? But maybe it’s being brainwashed by decades of fingerwaggers saying never to expect anything in return for love and feeling guilty that I am examining the nature of love, as if I had a right to do that? Then again, maybe I do have that right, especially as believing in so-called unconditional love has repeatedly caused me agony. It suits authoritarian people that in the people they control there is a deep sense of obligation to tolerate being dominated or worship those in control. The Wikipedia entry for unconditional love: ” The puppy is cute, playful, and the owner’s heart swells with love for this new family member. Then the puppy urinates on the floor. The owner does not stop loving the puppy, but needs to modify the behavior through training and education.” But a puppy urinating on the floor is merely an inconvenience. The intention of the puppy is not malicious and the puppy can be trained out of this behavior, unlike a sexually abusive adult human. When it comes to the forgiveness topic I use the term “reluctant forgiveness”, which may or may not evolve into “rabid dog compassion”. The idea is that a sexual abuser typically does not acknowledge their abuse, nor feels authentic remorse. The abuser may have a personality disorder, which they are stuck with for life and was formed in their own childhood by abusive parents or situations. My comprehension of the sexual abuser’s illness may initiate feelings of reluctant forgiveness but knowing that the abuser is still capable of harm, I need to keep very firm boundaries, at a safe distance, just as if I felt pity for a dog with rabies. Anyway, thanks again for your valuable thoughts. Wishing you an excellent year. Catherine, I’m so glad this page has been so helpful to you so far. We have a “resources” tab on the home page with links to books and pages we’ve found helpful. Victoria, I think that’s perfect to compare a dog with rabies to a sexual abuser. You may or may not feel compassion for them, but that doesn’t make them any more safe to be around, or any more deserving of unconditional love. Jennifer, thankyou for sharing all your thoughts and beliefs, they resunate with me. I totally agree with the fact that “unconditional love” must always involve boundaries, standards and values; I have taught this to my own children. However, as a child, one of my memories is that I was told, too “forgive and forget”, these very words taught me to believe that those who abused me were worthy of my love. As I grew up with this belief in mind, I then chose a partner whom was abusive; I understand that my choice may have been a repition of my childhood. During my marriage to this man, I questioned the “forgive and forget” of his manipulations and actions. I realised that surely I deserved to be loved, unconditionally with boundaries, standards and values (just as I give to those I care for). The love, I thought I had for him was’nt love. Towards the end of our marriage there are little gaps where I remember little; at times I sometimes try to forget his behaviour/actions. However, it has taken time, around eight years to “forgive ” him but I will “never forget” (all that I remember); my recent flash backs are a reminder). Thank you Sharon. I loved your comment. Its so true. My forgiving nature that was mentally beaten into me kept me in a lot of unhealthy relationships. Out of every aspect of healing, this has been one of the hardest for me. I keep seeing on new levels how much these beliefs from my abuse have effected my life. Unconditional love in a romantic relationship definitely exists but only in the broken minds of those that have allowed themselves to be subdued by one kind of fear or another. When we finally face our fears and we refuse to allow ourselves to be deluded to the truth any longer, when we become wise enough to know the answers or at least brave enough to ask the questions then we can break our shackles and realize it is our own comportment that stops us from doing what it takes to leave the people who are wrong for us behind and find people worthy of sharing our lives with. Me personally, I had misguided unconditional love for people who did not earn my love for the first 30 years of my life due to childhood abuse. Unconditional love for me made it impossible to find a good women. I am good looking and tall but without therapy connecting on an emotional and spiritual level with an intelligent women was impossible. I now see unconditional love in anything other than one way from a parent to child as a mental illness which if not overcome keeps those afflicted with it out of sync with the world at large. Before therapy I was blind to a lot of things involving inter personnel dynamics, between people with a normal sense of conditional love, like the worth of each singular trade of love that came and went within the interactions of my life, blind to the worth society at large gave to each of them. I believed in free love. I gave unconditional love and I expected unconditional love even though it was denied to me 99% of the time I still expected people to feel like me I was so blind it was as if my desire for unconditionally loving interactions created a mask that I wore altering my perspective of the true nature of the world, making the habits I learned along the course of my life ill by nature. To me people would often seem mean when I tried to open up to them expecting unconditional love when they gave me responses I did not want to hear or as it often was no real response at all. But in hindsight they were not being mean they were in part responding to my unsightly expectation for unconditional love but for the most part they were just doing what people inafflicted by the desire for unconditional love do which is to maintain the integrity of the nature of their conditional love and to have few worthy friends which they trust to open up to truly. Being abused only briefly and then being hypnotised to forget the abuse by my abuser left something at the back of my mind that I could not recall to be able to resolve until I had faced up to the facts to remember I was hypnotised in therapy. Before that unconditional love destroyed my abilty to gauge who was worth my trust, I loved unconditionally therefore I trusted anyone I did not sense was a direct threat to me. Before therapy I had this warped view of society that we could all be one world sharing and giving all that we can but normal people with normal conditional love do not feel a need a world like that and never will because we build trust slowly, we only fully love people who truly deserve our love and we are willing to take that love away from people when they treat us badly. Now I give the people that come into my life 1000 points if they lose those points through treating me bad and don’t make enough points back by treating me good (good being worth far less points then they lose for treating me bad) then when they reach zero points they have lost the chance to be my friend and I remember they are not good ‘friend matierial.’ There is always going to be at least seven billion more individuals for me to give a chance to. Conditional love and society at large always has and always will work in the way that if you give love then you get love and if you get love then you give love. If people treat others badly they lose the chance of love. If the love is unconditional then it can’t be true love because it is simply a warped minds view of the world. Thankfully as human beings we can all choose to change, given enough time and patience, when we set goals for ourselves and keep trying. in a lovely fluffy airy-fairy world unconditional love would be great. but then in a lovely fluffy airy-fairy world there would be no horrible things happening. i don’t believe that love should be unconditional for the very reason that it lets people get away with behaviours that should be unacceptable in a respectful world. i get the “hippy” like idea, i like hippies (the one’s that don’t hit drums in rainforests at least, it scares the animals) and the idea that respect and love and caring is something that we should all do. however, just like hitting drums in the rainforest produces the conditions that make birds fly out of their perches and for every ground dwelling thing bigger than a bug within earshot to scamper off in fear or annoyance there are some things that we as human beings should realise, everything is conditional. right down to what we do as individuals and society that allows the conditions that are both desirable and undesirable to exist. if the condition is that we do not educate people to respect others or themselves then, guess what? we get people that do not respect others or themselves. we may not be able to change others completely or quickly or even at all but as Jennifer points out, self respect is a big key and a great place to start in overcoming trauma, i believe. once you have some self respect then you do start to put some worth and value on yourself. and everyone knows that if you can put a value onto something then it can be compared to other things. once you can put a value on something and compare things then you will find again that things are conditional. 1+1=2 on the condition that you have 1 and add another 1 to it. atoms+molecules+amino acids+planet+the right amount of sunshine+time=life. life does not occur unconditional in nature. planets only remain in orbit on the condition that the parameters are right. not because of some flakey idea that magic or other supernatural power is involved. everything in this universe is conditional. there is life on this planet because the conditions are right. there are no trees on the moon because the conditions are not right for trees. great for craters to still be there. not so great for the craters here on earth under our conditions, namely the weather, which guess what? relies on conditions. i also happen to think that conditions also (funnily enough) can condition people. some that do abuse are also victims in many cases. not just on a empathic humanistic level but sometimes because on a more practical real-world level that they were also abused and now perpetuate the behaviour because they think it is acceptable. there are those with mental instability that can not make rational or moral decisions. and of course there are those that make excuses in favour of their own selfishness and/or immoral reasons. wether we like it or not, everything has conditions. that is a fact of this universe. and we must continue to create the conditions that educate everyone about respect and understanding for all people on all sides under all conditions. good on you Jennifer for standing up for yourself and putting a value upon yourself so that others can be held to the conditions that give you respect and love as every human at least deserves. all the power of the world to you. I felt like I’m reading about myself! It took me years to realize that I need not feel guilty about not loving my family like others do. I was blamed for not being able to love my abuser and forgive him. I’ve learnt to ignore such comments and am trying to move on. I’ve got a lot of help from blogs like this. Thanks again! I don’t completely agree. I also feel that you don’t have to love someone no matter what they do. You don’t have to love your abusers and I agree that it can be disaster to feel like you need to love them, forgive them etc. I do however feel that love should be unconditional; if not then to me it sounds is if someone is saying; ‘I will only love you if you behave a certain way or do certain things’. Which I find sickening and abusive. It makes me feel as if I’m not good enough, as if I need to do certain things ino rder to be loved and if I can’t live up to it, then I’m not loved. So therefore I’d feel horrible if my love for others would be conditional cause then I’d be telling them that in order for me to love them they need to treat me a certain way otherwise it’s no good. Now for me this doesn’t mean that I tolerate everything someone does all because I love them cause I also love myself so if someone belittles me, I will call them out on that. And when someone sincerly cares for me, we can talk about those things. When I love someone, I love them as a person indicating that I don’t necessarily like everything they do all the time but that doesn’t mean I stop loving them when they do something I dislike.